Dr. Bhanusali is a leading Dermatologist and digital health entrepreneur based in Manhattan. As a member of the prestigious Medical Scholars program at Michigan State University, Dr. Bhanusali was accepted into medical school at the age of seventeen and graduated college in three years. He was awarded both the Spartan scholarship, as well as the Arthur L. Foley, MD PhD scholarships for his outstanding academic achievements. After finishing medical school, Dr. Bhanusali completed his Dermatology residency at Mount Sinai hospital in New York City. 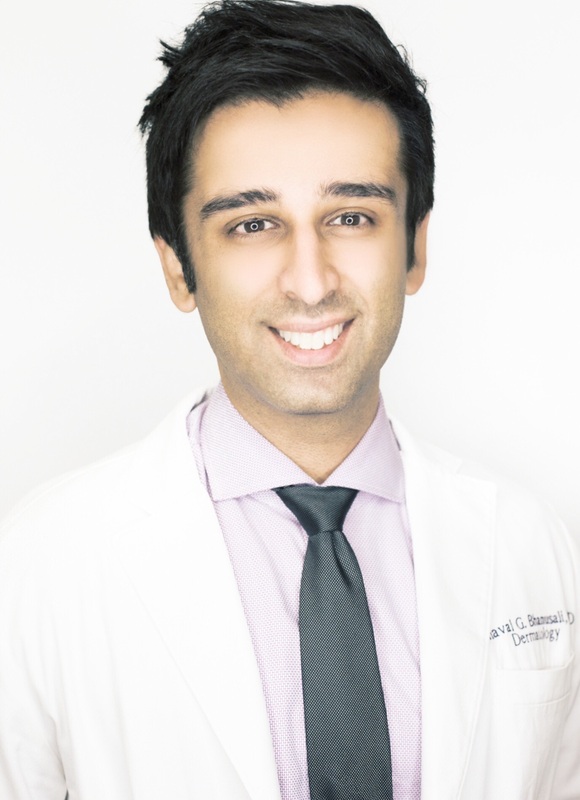 During his young career, Dr. Bhanusali has been featured on Elite Daily, Buzzfeed, Yahoo, Askmen, the Atlantic, People Magazine, Teen Vogue, Bustle, Self, WebMD, and countless other media outlets. His novel laser techniques and humanitarian efforts were featured on ABC and FOX. His award winning research has been presented around the world and he currently serves as a medical expert for many companies in the field, including Johnson& Johnson (Neutrogena, ROC, Clean & Clear, Aveeno) and Solta (Fraxel, Clear & Brilliant, Pelo). He specializes in medical and cosmetic dermatology and looks to bridge the gap between cutting edge technologies and established paradigms. His tech companies range from ground breaking hairloss companies to clinical trial focused platforms enabling patients to seek better care.